Bose invented a new tower array of speakers and accompanying base modules, combining PA and monitors into a single, portable solution. This was designed to allow the musicians to hear on stage what the audience hears in the room. 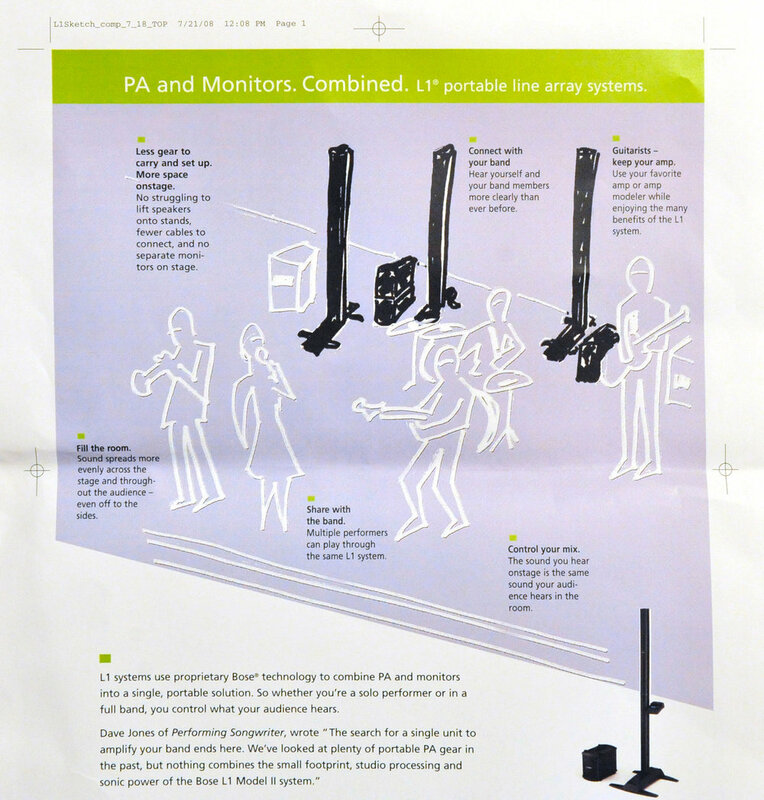 It eliminates the big, bulky monitors you would normally see in front of the musicians at the edge of the stage. 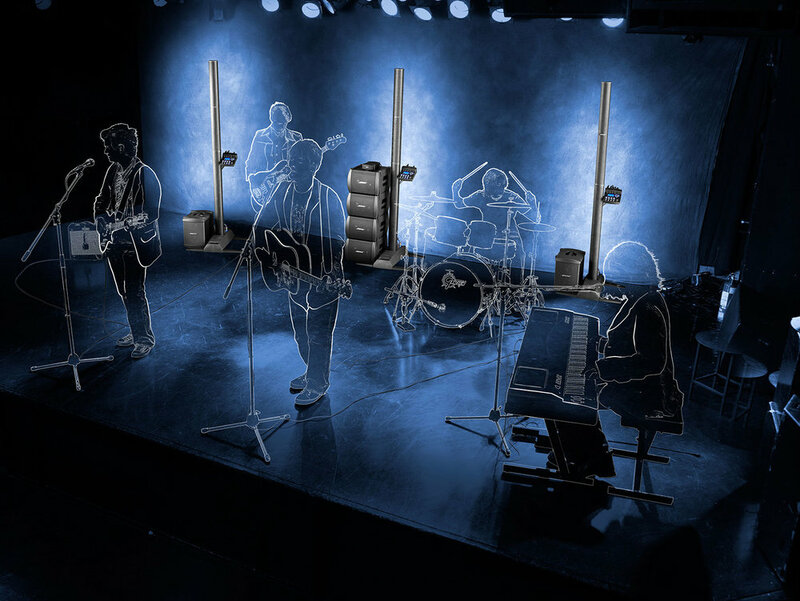 The challenge was to create an image which portrayed the band playing, while highlighting the new product, which was placed behind them. 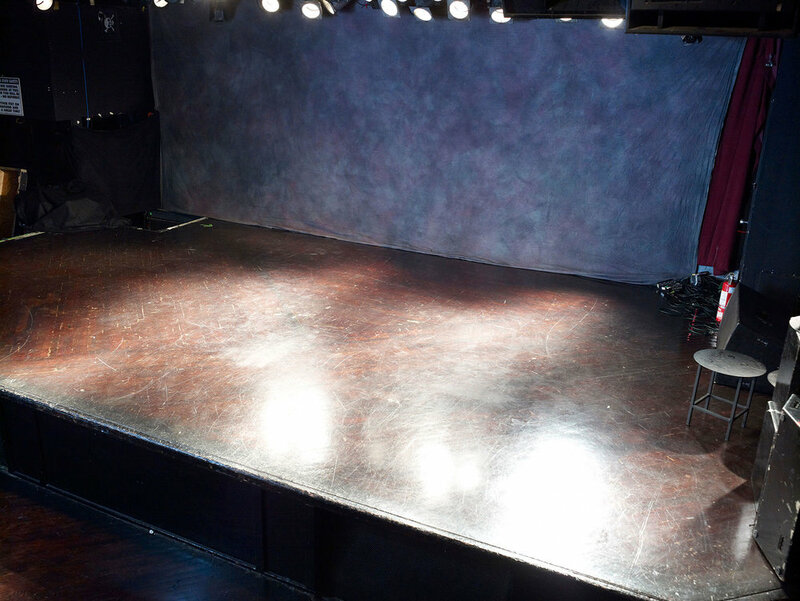 We booked an afternoon at the Paradise Rock Club in Boston on a brutally hot summer day, and set up our gear. 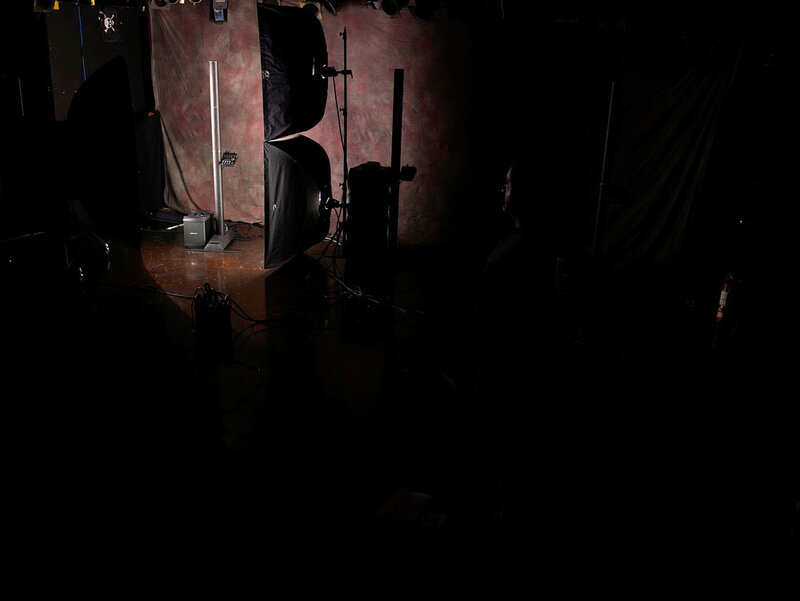 There were three key stages to the shoot. The camera had to remain in the same position throughout. First shoot the band on stage making sure they didn’t overlap the product too much. Light each set of the Bose L1’s and and shoot them without the band. Last, shoot the stage with nothing on it. After that, a couple of days at the computer to work some magic!